We’ve all had those days when we decide to ‘study from home’ and settle down to catch a quick bit of breakfast TV before getting dressed. Six hours later and you’re watching Alan Titchmarsh interview Bruno Tonioli while you develop bedsores on the couch, eating cold chow mein and a rogue Pop Tart you found in the bread-bin. When I was an undergraduate (back in the Dark Ages of pre-digital switchover) we only had four channels, and picking up channel 5 on our coathanger-aerial was – if you can credit it – cause for genuine celebration. Getting caught in the No-Man’s-Land of daytime TV was demoralising. But now – what a cave of wonders daytime TV truly is! This week, I submerged myself in afternoon TV (in the name of *cough* research) and watched a veritable treasure-trove of daytime jewels. On Film4 I watched the iconic Breakfast at Tiffany’s which I had, bizarrely, never seen. What a treat to watch Audrey Hepburn in her doll-like outfits, flitting about the astonishingly clean streets of New York while ‘Moon River’ drifted down from the heavens, all at 2pm on a Tuesday afternoon. Switching over to Yesterday, I watched Colditz, a classic 1970s BBC drama based on the true accounts of WWII Allied POWs and their many attempts to escape the ominous-looking castle (Harry Potter fans: think less Hogwarts, more Durmstrang). It was brilliant, all theatrical and shouty, with everyone speaking either exquisite cut-glass English or Basil Fawlty German. I then drooled over Nigella’s juicy pork-chops as Nigella Express appeared on the Food Network. 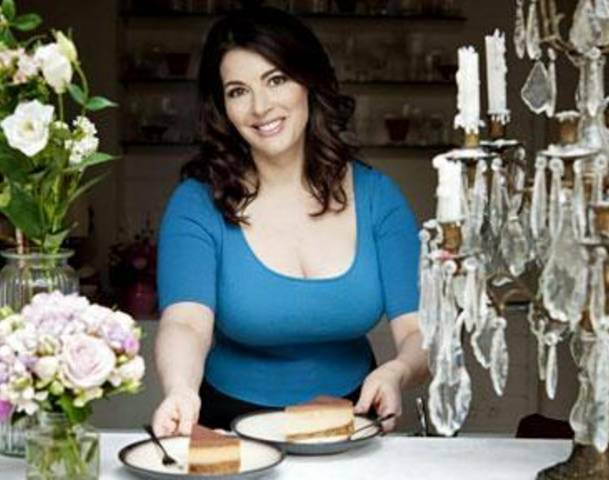 A particular highlight was Nigella rustling up ‘fancy bread-and-butter pudding’ using leftover croissants and home-made caramel, sashaying back to the fridge for a cheeky ‘midnight snack’ after the credits rolled. So much better than Gordon Ramsay’s angry, scrotal face growing crimson above a bowl of linguini on prime-time Channel 4. A visit to ITV2 produced Millionaire Matchmaker, an astonishingly shallow show in which a big, beefy biatch called ‘Patti’ helps greasy singleton millionaires find a date by lining up women and judging them solely on their appearance. One of the women introduced herself as a pilates instructor. ‘Pilates instructor?’ spat Patti, turning to her obese colleague, ‘did she eat the whole class?’ Exquisite stuff. Of course, there’s still a hell of a lot of depressing crap on TV during the day (step forward David Dickinson, the Loose Women panel et al), but with afternoon delights like these on offer, it’s a wonder any of us makes it into the library while the sun’s still up.